Heading out to Hongkong with kids but have no clue where to start for activities ? Over the March Holidays , we took a short 4 Days 3 nights trip to HK to unwind. 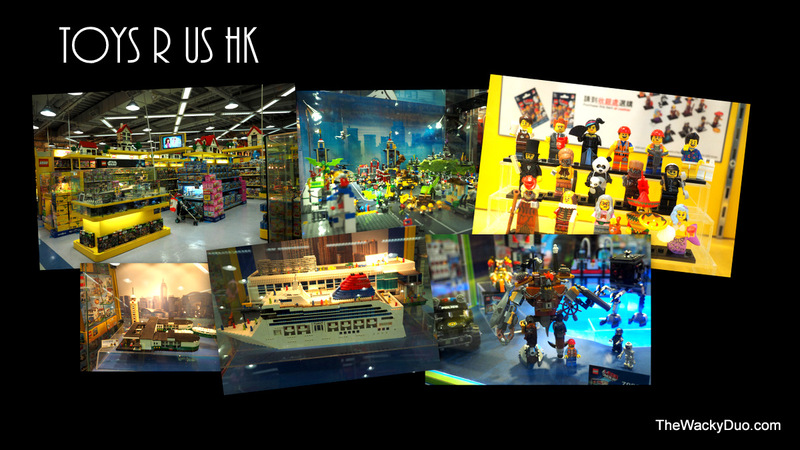 It was as fast pace as life is in HK but we managed to squeeze in a decent amount of activities during this trip. 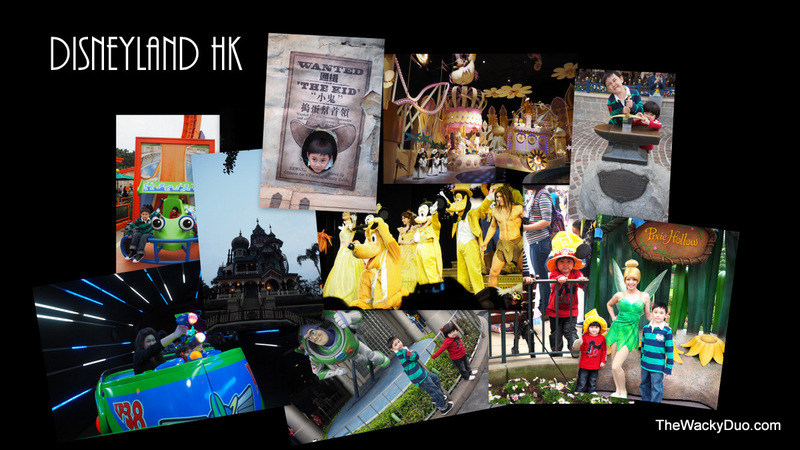 If you are heading out to HK for a short break with the little ones, this will be a handy guide for the list of activities suitable for children in HK. All activities are tried, tested and certified kids friendly. 100% real life experiences... Nothing less. Disneyland Hong Kong had opened the doors to visitors since 2005. It has been constantly evolving since the launch with 2 additional themed areas added over the past 2 years ( Grizzly Gulch and Mystic Point). It may not be as big or as glamorous as Tokyo Disneyland, but it does share similar genes as the rest of Disneyland Theme parks. Expect similar rides and a bonus of newer rides in Asia's latest Disneyland. However, the experience is a tad different fromo Tokyo Disneyland. For one, crowds (especially adults) can get a little disorderly during the shows. The number of shows and parades are also lesser compared to the former. On the flip sides, the size of queues are reasonable and we managed to do most of the stuff on our checklist. You probably could not cover all the rides in the park within a day, but you could do a least 1 ride or attraction per theme work in the park. Easiest and most economical way from Town is via the MTR. Transfer to the Disneyland Train at Sunny Bay (along Tung Chung Line) . Total times should be about 40 minutes. You could consider a Taxi but expect to pay 4 times as much. Opening hours ; 10am to 8pm . Get Discounted Tickets for Disneyland from Klook Here. Noah Ark is one of HK latest tourist attraction. It is a Christian theme park centred on the story of Noah's Ark. The main attraction would be the world's life size stimulation of Noah's Ark. There is the Ark Garden filled with life-size animal displays. 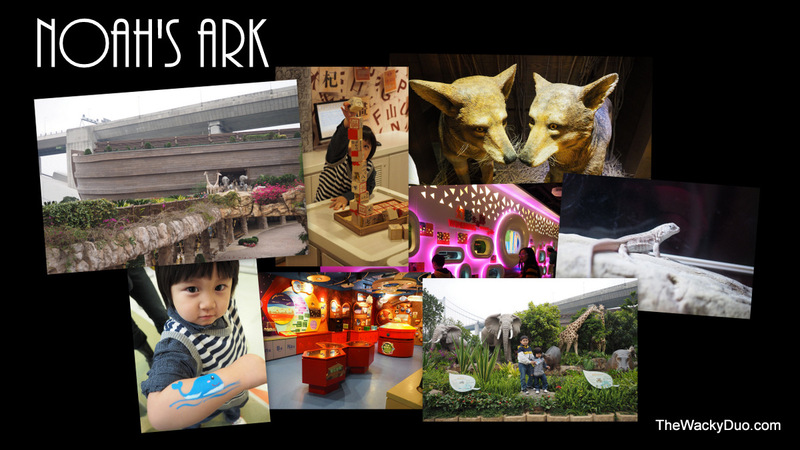 For little kids, the Ark Expo with little animals enclosure, 4D theatre and interactive displays would entertain. The gem would be the Treasure House with 15 room size galleries base on science, music, history, arts and loads more. We were blown away with the Treasure House setup and highly recommend it for children aged below 8. The sensory experiences at the Treasure House are world-class by any standard. For older children, hope down to adventure land for a challenging rope course. If you have extra time, you can also explore Ma Wan Park located next to Noah's Ark. We heard it is a favourite past for wedding photos. By MTR - stop at Tsing Yi station along Tung Chung line and take Park Island bus to Noah ark By bus - take the Circular bus from central pier no 2 to Park island.Our preferred mode of transport would be the Ferry as it was relatively fast and fuss free. Before Disneyland arrived in Hong Kong, the main theme park for the country is Ocean Park. Ocean park has its roots from 1977, but since redevelopment in 2005, it now houses over 80 attractions and rides. 4 roller coasters, animal exhibits, giant panda exhibits, jellyfish enclosure , world class aquarium together with a 1.5 km cable car ride make this a top-notch amusement park. With fun for the whole family, that place is set to give Disneyland a run for its buck! Take the Citybus 629 that runs daily from Admiralty MTR or Central. If you are looking at affordable attractions in Hongkong, why not take a visit to the museums. There are at least 4 museums located within walking distance in Tsim Tsai Hsiu. Going to all 4 museums will probably take a whole day. Given its education benefit ( HK Science Museum) to the historical introduction. 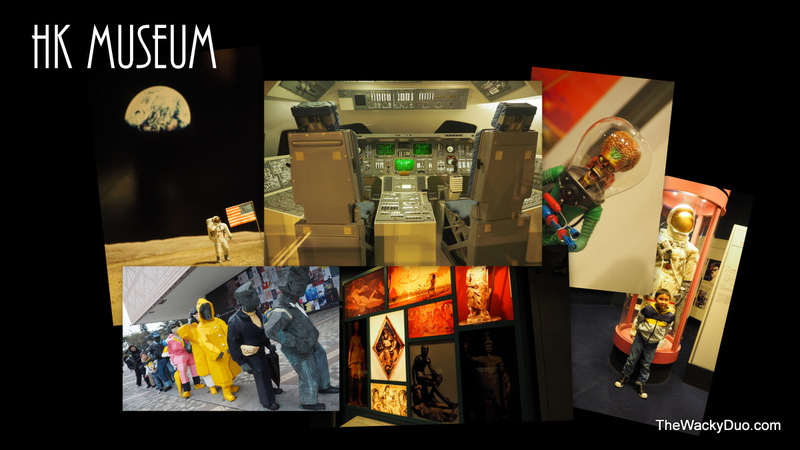 (HK Museum of History ) to quirky fun ( HK Space museum and HK Art museum ) , you can be sure that the children will have their fair share of fun in these places. If you have limited time and can only choose one, we recommend the HK science museum. The best location to visit museums would be Tsim Hsai Hsui given its concentration of museums in the vicinity. Take the MTR to Tsim Sha Tsui or East Tsim Sha Tsui to start your journey. Some museums are open for FREE on Wednesday. Else the rate starts from HKD $10. Do check out the HK museum website for more information on charges and opening hours. Hong Kong equivalent of Hollywood Walk to Fame. The standout statues would be the 4.5-metre tall replica of the statuette given to winners of Hong Kong Film awards and a 2.5 metre bronze statue of Bruce Lee. Don't forget your cameras for a souvenir photograph with these iconic statues.Along the way, enjoy the panoramic view of Hong Kong island across Victoria Harbour. There are mini-performances at the Avenue of Stars on selected nights. MTR East Tsim Sha Tsui or Tsim Sha Tsui station. Star Ferry to Tsim Sha Tsui and walk for about 5 minutes along Tsim Sha Tsui promenade. It's open 24 hours a day and it's FREE! A stroll down Avenue of Stars should always end off with the symphony of lights performance across Victoria River. This is a synchronised light and laser show featuring 45 buildings on both sides of Victoria Harbour. This 14 minute permanent show will be displayed nightly at 9pm. On special occasions such as Chines New Year, there will be fireworks involved. For what it is worth, the kids would be delighted by the laser beams during this period. 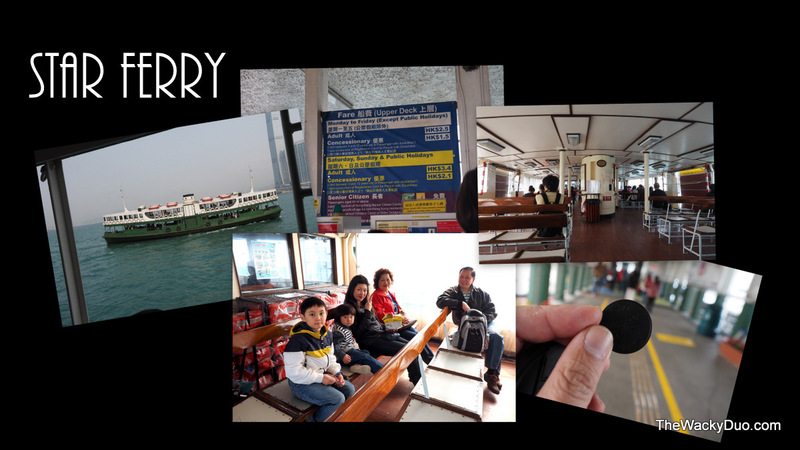 Star Ferry is a tourist attraction by itself in HK. Founded in 1888, it is in one of the must do on our list to experience the historical flavour of HK. A trip from Central to Tsim Sha Tsui cost only HKD $2 onwards for a weekday ride. It is a great way to explore either side of Victoria Harbour for a small small small fee. A trip to HK is only completed if you have explored public transportation on land AND sea. Just head to the Ferry Terminal at Central or Tsim Sha Tsui. For full fares and operating hours, refer to Star Ferry website. 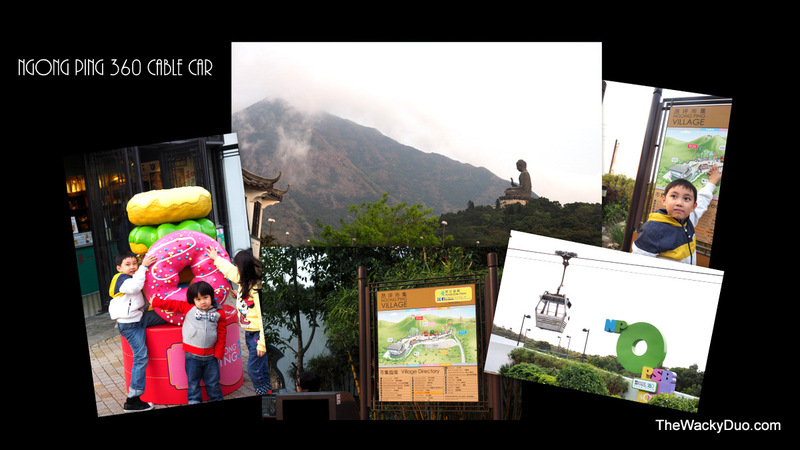 If your child(ren) is a fan of Cable Cars, they will love a ride on Ngong Ping 360. This 5.7 km long cable car will bring you from Tung Chung up to Ngong Ping in 25 minutes. Once up Ngong Ping, you can explore the Ngong Ping village or visit the famed Big Buddha. Do be there early and avoid peak hours. Otherwise, the trip down will include a super long queue for the cable cars. If you are looking for shorter queues, the crystal cabin ( with glass bottom) will be a better option. In addition, you could make a stopover at Citigate outlet mall once you are back at Tung Chung. Take the MTR to Tung Chung for a ride up to Ngong Ping. Charges - Round trip standard cabin starts from $75 for children and $150 for adults. 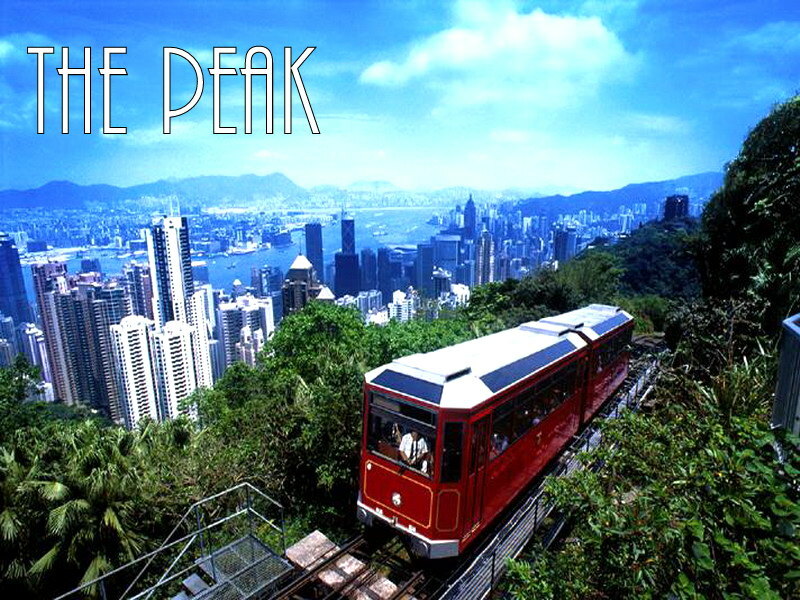 Charges - Peak tram return tickets starts from $18 for child 3-11 and $40 for an adult. Hong Kong is said to be a shoppers paradise. We could not argue with that . With our favourable exchange rate and GST-free shopping, bargains can be found in HK even during off sale season. Even if you are not in the mood for shopping, just head down to Toys R Us at Ocean terminal for its fantastic LEGO displays. Children would simply love a tour around this awesome Toys R Us. Feeling exhausted after all that play? Just pop into a restaurant located all over Hong Kong. 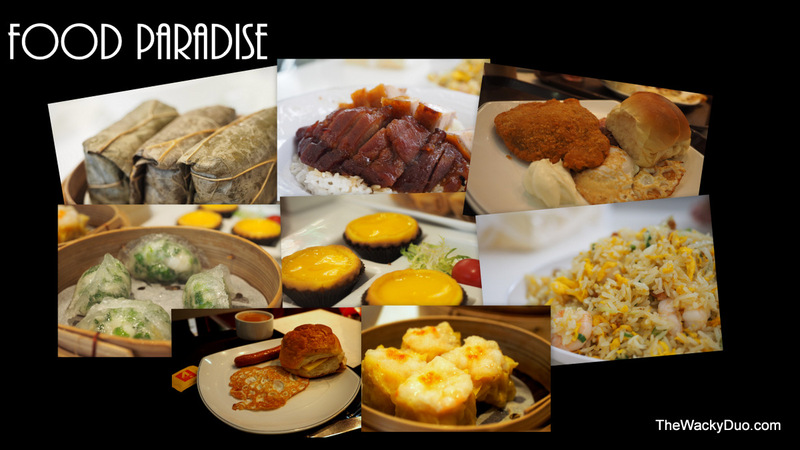 From the well known Dim Sum to unique Hong Kong / Macau breakfast, you will be spoilt for choice. If you are looking for fine dining or even Michelin star endorsed eating spots, Hong Kong is full of them. Just bring an empty stomach! There are other attractions such as Night Markets and Kowloon Park. We had omitted the night markets, as we are not sure if children would actually enjoy it ( adults shopaholics would love it though) As for Kowloon park we have yet visited it and thus have limited information on it to make a recommendation. Nonetheless, this list would be more than sufficient for a 4 days or 5 days escapade to HK. Do keep it handy for your HK holidays! Updated 2017 : We have a 5 Days itinerary for HK ready to use for family. Want to book the activities above, we think Klook is a great place to start ! Do join us at our Facebook page if you would like the latest update on lifestyle and travel for families. Hey great blog, my wife and my kids boys as well ages 7 and 4 will be going to hk this nov, visit disney and ocean park, do we need tobring a stroller? I think it could be tiresome for them. We think a stroller is a good idea especially if you child has afternoon naps. Your hands will thank you later. Get one of those lightweight umbrella stroller for ease of use. Hi. We are gg with hong kong with our two years toddler. Can advice on recommended attire for the child? Enough to keep him warm and not too hot. Hello, just wondering if the MTRs are pram-friendly, ie. lift or escalators. Or are there only flights of stairs? We are bringing our 2 and 4 year olds. Thanks! Hi There! Very helpful entry. I would just like to ask if Ngong Ping is stroller friendly? Thanks! I think it is stroller friendly. Just be aware of 2 things. Hi, where did you stay in Hong kong? Did you do disney for a day or two? Hi...this year will be our 2nd visit to HK but the 1st time for us to Ocean Park...What kind of clothes should the kids be wearing? Do we get wet with some of the rides?